LAHORE: On the last day of a three-day traffic awareness gala held at Bahria Town, the City Traffic Police (CTP) on Sunday distributed awareness material regarding traffic rules and safety while driving on roads. The CTP education teams distributed pamphlets and brochures regarding the use of helmet while riding, line-lane discipline, consequences of wrong parking and other traffic rules. The awareness campaign was launched with the coordination of Atlas Honda. 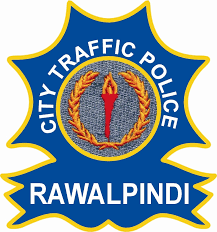 The CTP teams, on the directions of Chief Traffic Officer (CTO) Rai Ijaz Ahmad also distributed awards during a quiz programme arranged by the CTP.